May 5, 2017 -- About one in five Americans drinks diet soda every day, according to the CDC. Is that a good thing? 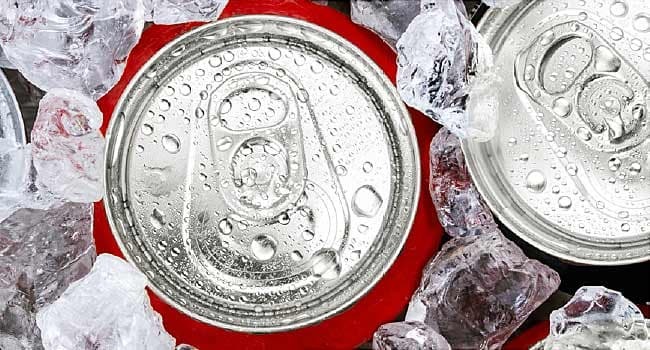 Numerous studies over the past several years have reported links between diet soda and weight gain, diabetes, heart problems, and other health issues. Most recently, headlines sounded alarms about a higher chance of dementia and stroke among diet soda drinkers . That may sound worrisome, but experts say you don’t need to clear the diet drinks out of your fridge just yet. Many questions must be answered before we’ll know whether diet soda raises your chance of health problems. Boston University researcher Matthew Pase, PhD, and colleagues examined 10 years of health information from nearly 3,000 American adults over 45 to count the number who had a stroke. They did the same for nearly 1,500 American adults over 60 to determine how many developed dementia. After accounting for a variety of things that could influence their health, such as age, physical activity, and waist size, the researchers found that diet soda drinkers nearly tripled their odds of stroke and dementia, compared with those who drank no diet soda. Scary, right? Not necessarily, says Pase. Only 81, or 5%, of the people in the study were diagnosed with dementia, and only 97, or 3%, had a stroke. Pase also makes clear that his study’s results, published in April in the journal Stroke, don’t explain the link. Do diet sodas cause health problems like stroke and dementia? Or do people who have higher chances of getting such health problems choose to drink diet soda, perhaps to try to cut sugar and calories in their diets? Pase can’t say. Other studies have also tied health concerns to diet soda broadly rather than to specific artificial sweeteners. (The FDA has approved six for use in drinks and food.) Like Pase’s study, they could not show whether diet soft drinks were to blame. In 2014, a study reported that overweight and obese people who drank diet sodas ate between 90 and 200 more calories of food per day than those who drank regular sodas. Also in 2014, a review of several studies, published in the British Journal of Nutrition, revealed that people who drink diet sodas raise their risk of type 2 diabetes by about 13% for each 12-ounce can they drink each day. A 2015 BMJ review of studies also found that a single daily serving of diet soda boosted the chance of diabetes by 8%. A 2012 study found that daily drinkers of diet soda who were, on average, 69 years old had a 43% higher chance of heart attack, stroke or dying as a result of blood vessel problems. Israeli researchers who studied 381 adults without diabetes showed that diet soda drinkers had many things that raised their odds of having type 2 diabetes, including higher weight and belly fat, higher levels of blood sugars, and more glucose intolerance. Their 2014 study suggested a cause: Artificial sweeteners affected gut bacteria, which in turn affected metabolism. But that connection was only noted in mice. The authors of these studies suggest many explanations for the links between diet soda and health concerns. In addition to potentially changing gut bacteria, artificial sweeteners may stimulate the appetite, which could lead to overeating. Researchers don’t know yet whether these explanations will prove to be accurate. David Ludwig, MD, PhD, says that studies like these raise important concerns about diet soft drinks, but they're not proof that we need to be worried. “We need more clinical trials,” says Ludwig, an endocrinologist and professor of nutrition at the Harvard T.H. Chan School of Public Health, and author of Always Hungry. Ludwig conducted a test in 2012. In it, he randomly divided 224 overweight or obese teens into two groups. One group continued their normal habit of drinking sugary sodas; the other group switched to diet sodas. After a year, the diet soda group had dropped a little bit of weight, compared with those who drank regular sodas. By the 2-year mark, however, the two groups were about the same. In another clinical trial, participants who drank diet soda lost about 5 pounds more than water drinkers over a 12-week period. However, that study was funded by the American Beverage Association, a trade group that represents soda makers. Overall, says Ludwig, clinical trials have shown that if you switch from sugary sodas to diet ones, your weight will benefit. However, no clinical trial has yet been long enough to answer whether diet sodas affect the odds of having diabetes or whether they are as safe as unsweetened drinks like water. Diabetes and obesity, Ludwig says, are the primary focus of concerns about diet soda. One possible explanation for the link between diet sodas and weight gain and diabetes risk: The sweeteners in diet soft drinks may trick you into overcompensating, or eating a greater number calories than you normally would, says Christopher Gardner, PhD, director of nutrition studies at the Stanford Prevention Research Center. This can happen in one of two ways. The first, he says, is psychological. If you choose a no-calorie diet soda over a regular soda, you may reward yourself later in the day with a treat. And that treat may have more calories than you saved by avoiding the sugary soft drink. Your brain chemistry may play a role as well. The sweetness in the diet soda may prime your brain to expect a calorie boost. When no calories are on the way, that could trigger your appetite and lead you to eat more. “Diet sodas may help you with weight loss if you don’t overcompensate, but that’s a big if,” says Gardner, who's also a professor of medicine at Stanford University. Ludwig suggests that drinking artificially sweetened beverages may affect your taste buds in ways that make you less likely to choose healthy foods. “You may find fruit less appealing because it’s less sweet than your soda, and vegetables may become inedible,” he speculates. Both Gardner and Ludwig acknowledge that their theories are just that: Theories. The American Beverage Association said in a statement that the FDA and other health organizations consider artificial sweeteners safe, and no research has shown otherwise . Seattle-based dietitian Angel Planells encourages people to choose water over soda of any kind. But, he says, diet soda can fit into your diet as long as you make other healthy food choices. “If you drink a diet soda, that won’t make up for eating a super-size fast food meal,” says Planells, a spokesman for the Academy of Nutrition and Dietetics. Breaking the diet soda habit, if you choose to do so, can be tough, says Planells. He recommends starting with baby steps rather than going cold turkey. If you drink five or six diet sodas a day, drop down to two, to three, and then to one. Just be sure to drink water so you stay hydrated. Ludwig advises people who want to get off sugary drinks to consider diet soda a temporary choice. Christopher Gardner, PhD, director of nutrition studies, Stanford Prevention Research Center; professor of medicine, Stanford University. David Ludwig, MD, PhD, endocrinologist and professor of nutrition, Harvard T.H. Chan School of Public Health, and author of Always Hungry. Matthew Pase, PhD, researcher in neurology, Boston University School of Medicine. Angel Planells, registered dietitian and spokesman for the Academy of Nutrition and Dietetics. Bleich, S. American Journal of Public Health, March 2014. Ebbeling, C. New England Journal of Medicine, October 11, 2012. Gardener, H. Journal of General Internal Medicine, September 2012. Greenwood, D. British Journal of Nutrition, September 14, 2014. Imamura, F. BMJ, July 21, 2015. Pase, M. Stroke, April 20, 2017. Peters, J. Obesity, June 2014. Suez, J. Nature, September 17, 2014.